Owned and run by Aude and Laurent Brydniak since 2008, The Waggoners offers a good selection of classic pub meals as well as a seasonal A La Carte menu. Set menus are available lunch and dinner from 2 or 3 courses to our 5 course tasting menu. The kitchen, run by our head chef, has created a menu inspired by classic French dishes with a modern twist combining great flavours together. We also offer an extensive and well balanced wine list as well as a range of premium spirits. Our beautiful dining space made up of 4 interconnecting rooms fits around you, however large your party or whatever the celebration. From private meetings, lunch, dinner and cocktail parties to family re-unions, birthdays and anniversaries The Waggoners is the perfect setting for your function. We have the facilities to accommodate smaller groups of 4 to 36 guests or larger parties of up to 90 guests. We have a car park for up to 70 cars. Guests can also enjoy our large outside seating area to relax on a sunny day. Or why not play a game of Petanque (boules) on our private pitch. My second visit in 12 months, and will return. We had the set lunch menu and it was excellent value. I know it's the French way but would have appreciated some in season green vegetables, just a small amount, to set off the main course. There was no fault with food or service, and we probably overstayed our welcome but it was a comfortable space to catch up with an old friend. This is an excellent restaurant. The food is delicious and appetising. There is a comprehensive choice of wines. The service is excellent. Our meal started really well, really attentive service and delicious starters. We were quite disappointed by our mains (the fish in Yorkshire pudding wasn't great, the roast average and the pasta a bit boring). Then the service really dropped off. It took ages for our plates to be cleared and for desserts to be ordered. After we also struggled to find someone to pay the bill. Everyone was busy resetting the restaurant for evening service and hoovering! Our bill was £260 for lunch for 5 and this felt a lot for average food and declining service. We were celebrating a birthday and mother's Day and for us this really fell short which was disappointing. Not sure we'll be back at these prices. Just had a great Mother’s Day meal with my Mum, wife and young daughter. The food was excellent but a special mention for the young staff who were very friendly and attentive. Fantastic food but overpriced for essentially a roast dinner. Gutted there was no cauliflower cheese despite it appearing on the menu! And always irked to be charged for bread. Slight issue with the booking - table initially booked for 14:00 which was confirmed however this was moved to 13:45 two days prior to visit. Ordered wine but had to request again during the starter as it had been neglected. Service was very slow - I've no issue with a nice relaxed meal but this was very slow. However very nice touch with the glass of bubbles and plant. Delicious meal & wonderful service las always! Glad to see Frogs Legs back on the menu! Great Sunday lunch with plenty of menu choices at this lovely hospitable pub. Wonderful restaurant! Food consistently delicious, good wine list, great service and great atmosphere. Shame only half bottles of Muscadet available. The sauce with the mussels was hot but some of the mussels themselves were only lukewarm. A very tasty Sunday roast, meat cooked to perfection, and a good choice of real ale's, was happy with my choice of the Waggoners for my birthday meal out. You really don't get much better than this. Mid week lunch very good with excellent service. Excellent service and very good Sunday lunch. Thank you. We are looking forward to our visit on the evening of Saturday16th March! Another lovely meal at The Waggoners. Excellent value ‘ladies day ‘ 3 course meal. We did come on a Groupon voucher so the price was excellent. The food however was +++++++++ excellent,  the beef was done to exactly how we asked and was so tender. Your waitresses where very attentive,  we couldnt have asked for a better evening and would highly recommend your lovley restaurant. Look forward to coming again. Excellent tasting menu for our anniversary/ my birthday lunch. And thank you for the birthday champagne! 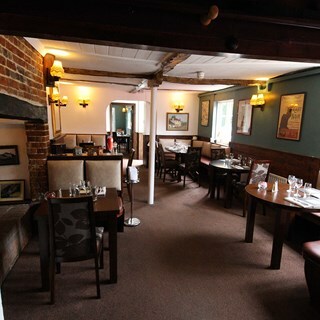 An attractive menu and very good cooking, superior to other local pub/restaurants. A better wine list than most. 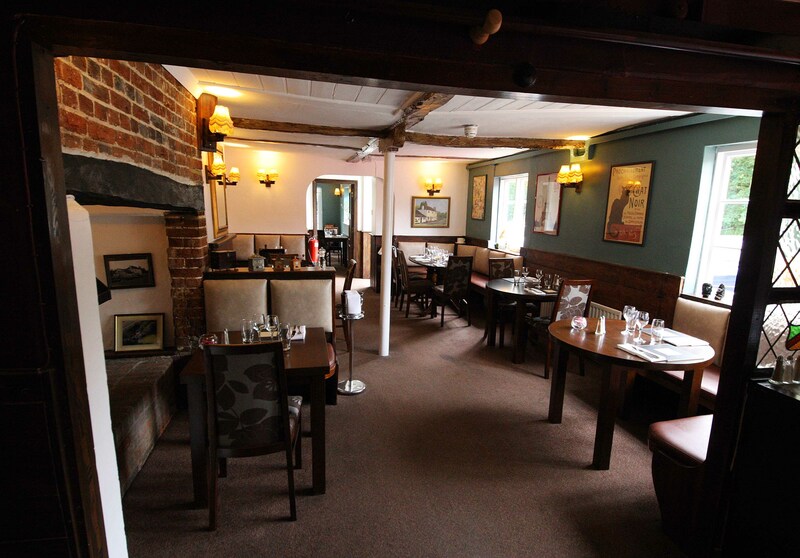 The Waggoners is one of our favourite local restaurants. The food is always lovely while the service and atmosphere are friendly and personal.